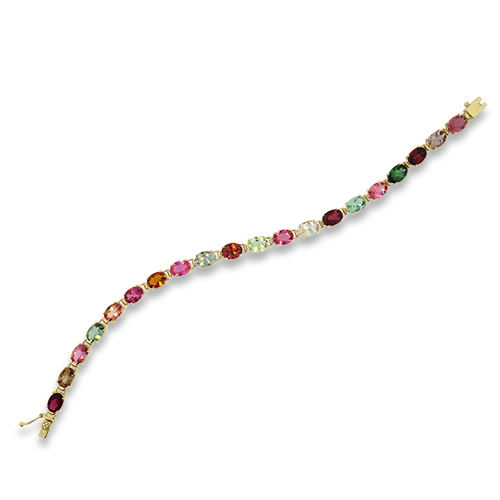 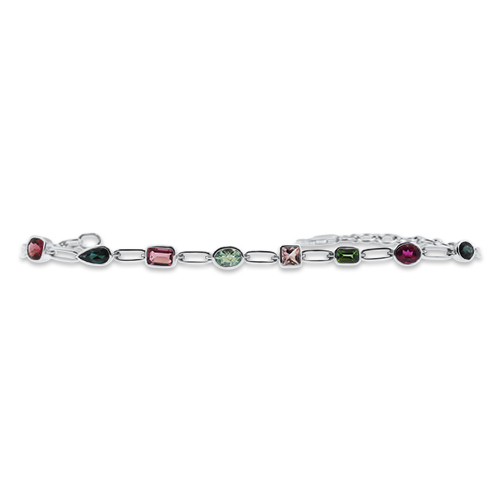 15.75cttw Multi Color Tourmaline Tennis Bracelet. 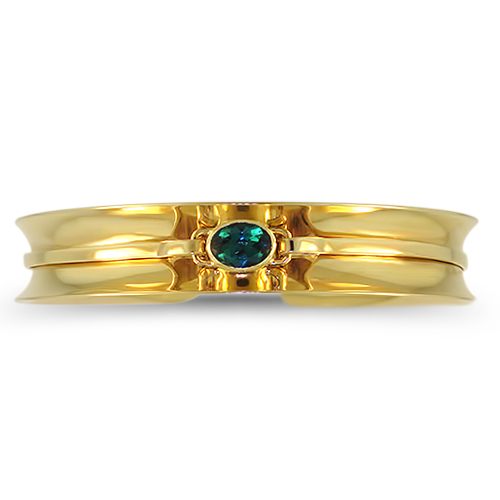 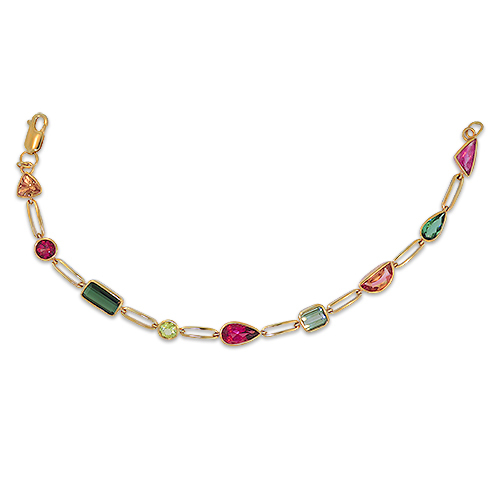 The tourmaline is all oval cut in a range of colors prong set in 14K yellow gold. 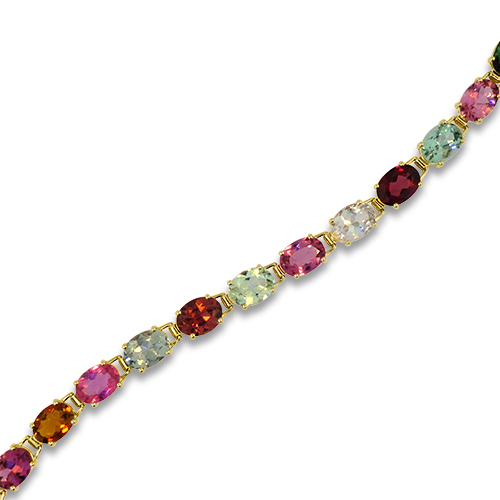 It measures 7.5 inches long.